To be honest, I must have passed this place hundreds of times but for some reason, never ventured in. I’m so glad I finally did – I’ve been twice in the past week. It’s good, trust me. Do you like juicy, flavourful, tender meat? Do you like fresh, delicious eggplant, fattouch, couscous or taboule salad? Yeah, I bet you do. 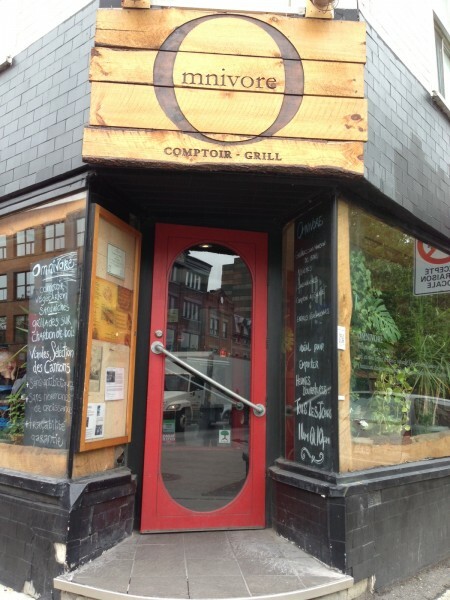 Omnivore serves up some grade A stuff that might actually take you pleasantly by surprise. First, definitely get a glass of Omnivore’s freshly squeezed juices. 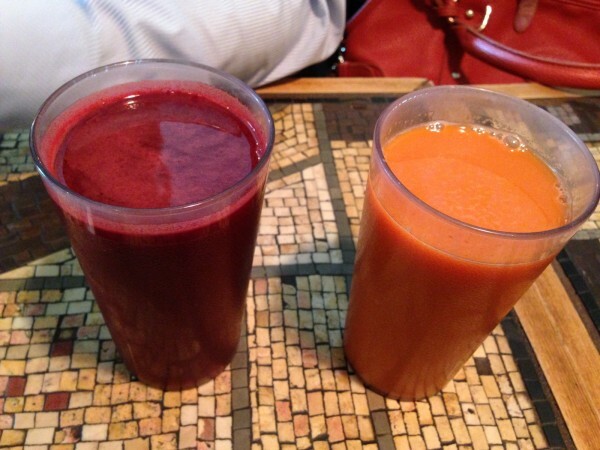 The beet, apple and carrot combination is my favourite. The carrot ginger was a little too gingery for me but if you’re into that, it might be for you. Aggregating the photos from both meals, we ordered one of each themed platters – one herbivore, one omnivore and one carnivore. The herbivore plate comes in two variations – choose 3 or 5 different salads from the selection at the counter. 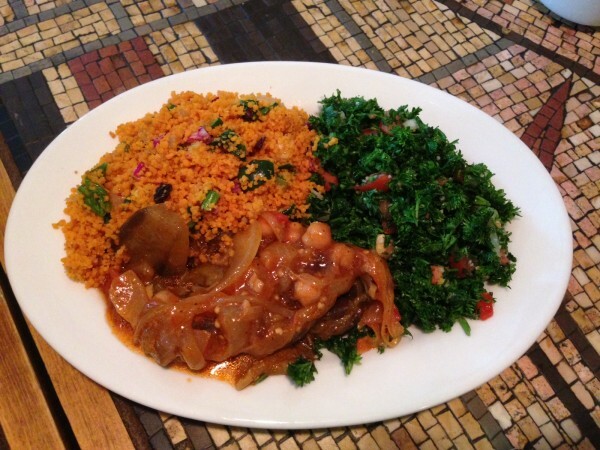 These include eggplant, fattouch, couscous, taboule, chickpeas, lentil rice and many more. We got to try all of these and found them to be particularly good. The cold eggplant stew found a perfect mix between firm and soft in terms of texture. The taboule was especially lemony, which we all liked. The omnivore plate came with a chicken kefta stick on top of lentil rice, along with super thick, creamy hummus (thickest and creamiest I’ve ever had) and garlic sauce to slather on top of the chicken as you please. 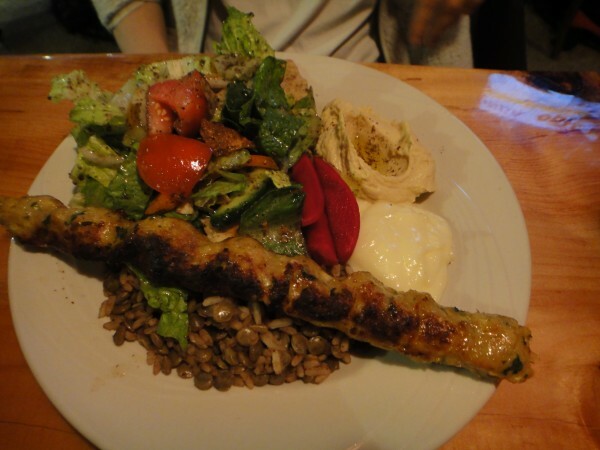 The carnivore plate comes with three skewers of meat – we had the mixed version which came with two beef and one chicken on top of the same lentil rice and some pickled veggies on the side and a generous dollop of hummus. 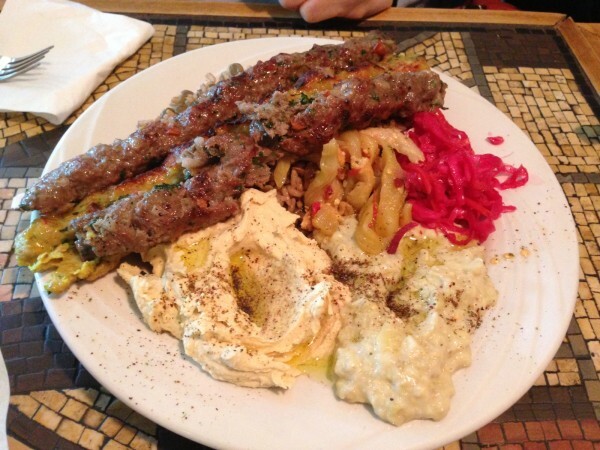 Each platter comes with complimentary triangles of pita so that you can dip, mix and match whatever’s in front of you. I just have to say right now that the kefta here is pretty awesome. It’s spiced so nicely, with tons of sumac and parsley that add lots of depth and aroma to each bite of meat. Honestly, heavenly. 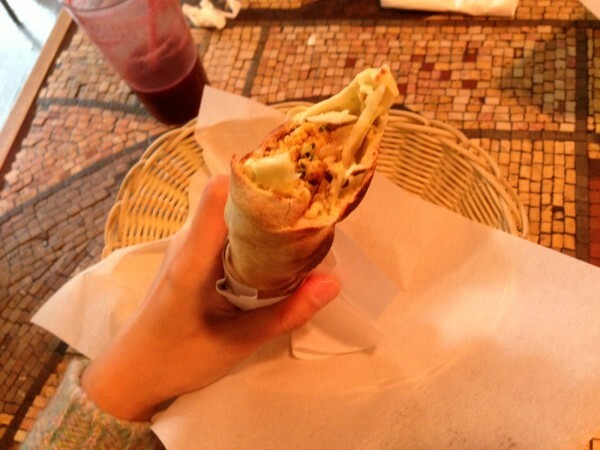 We also go to try the Inca and the Bombay sandwiches. Not your traditional sandwich, that’s for sure. The ingredients are expertly rolled into a tight, long cylindrical shape and pressed til hot on the inside and crunchy on the outside. The Inca is made with chicken kefta, guacamus and cabbage tahini. It’s a more muted, subdued sandwich that’s got a gentle, mild taste. If you want something a little more exciting, I would suggest going with the Bombay. 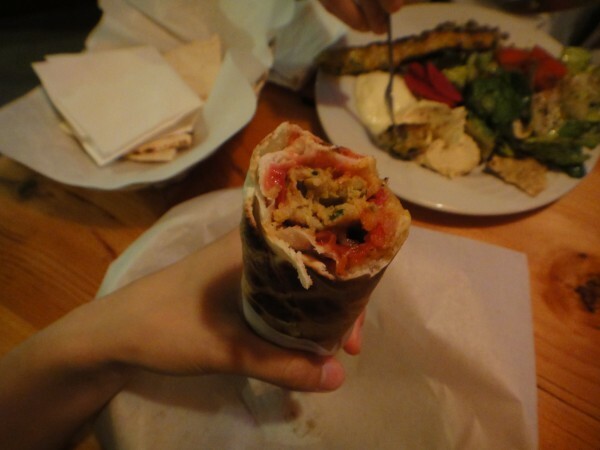 This one’s with kefta, mango chutney and red cabbage – ask for it to be extra spicy if you like a little heat. The mix of spicy mango chutney with the marinated meat and the pita as a solid base just worked incredibly well. Yeah buddy. 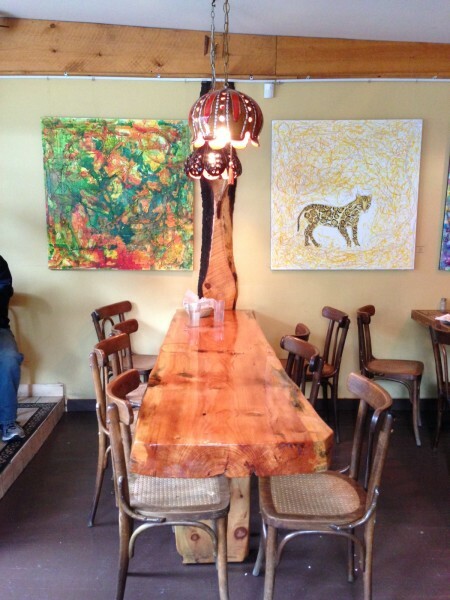 Overall, a really nice spot to grab lunch or dinner. Recommend! Tags: Beet, Carrot, Casual, Dinner, Ginger, Grill, Hummus, Juice, Kefta, Lunch, Middle Eastern, Montreal, Omnivore, Sandwich, St. Laurent.